Fancy earning up to 120,000 bonus Qantas Points: enough for a return business class trip to Asia? That's what's possible right now through a range of rewarding credit card deals, offered alongside plastic that also provides points when spending on the card throughout the year. Without further delay, here are February's 2019 top credit card sign-up offers from the likes of AMEX, ANZ, Bank of Melbourne, BankSA, Citibank, NAB, Qantas Money, St.George and Westpac. Tempting with up to 120,000 bonus Qantas Points, the American Express Westpac Altitude Black Bundle – pairing a Westpac Altitude Black Mastercard with an American Express Westpac Altitude Black Card. Those bonus points come in two parts: one being 80,000 bonus Qantas Points when you apply for the Black bundle by April 2 2019 and spend $3,000 on eligible purchases within 90 days of card approval using the Altitude Black Mastercard (issued and serviced by Westpac). You could also take home 40,000 bonus Qantas Points when spending $3,000 on eligible purchases within the same 90-day period using the American Express Westpac Altitude Black Card (issued and serviced by American Express), which also generates 1.25 Qantas Points per $1 spent on most everyday purchases in Australia, uncapped. Combined, that's up to 120,000 bonus Qantas Points on offer. The Altitude Black Mastercard carries a $250 annual fee; the AMEX, a $199 annual fee; and there's also a $50/year Qantas Rewards fee levied for earning Qantas Points. Next, the Qantas Premier Platinum Mastercard's rounded offer of up to 100,000 bonus Qantas Points plus a halved annual fee in the first year ($149 vs. $299), and the ANZ Frequent Flyer Black Visa's offer of 100,000 bonus Qantas Points plus $200 back to the card for eligible new customers. With ANZ, that offer is unlocked when you apply and spend $4,000 on eligible purchases in the first three months from approval. Spending on ANZ's Visa provides one Qantas Point per $1 spent on everyday purchases up to and including $7,500 per month – 0.5/$1 thereafter – with a total annual fee of $425, reduced in 'cost' in the first year to $225, thanks to the $200 statement credit for those who've spent $4,000 on eligible purchases in the first three months. When it comes to the Qantas Premier Platinum Mastercard, there's instead a catch worth noting – you won't earn the full 100,000 bonus points at the beginning, or even in the first year: instead, you can initially get 70,000 bonus Qantas Points when you apply by February 28 2019 and spend $3,500 within the first 90 days of card approval. To pocket the remaining 30,000 bonus Qantas Points, you'll need to keep the card for a year and pay a second annual fee ($299), with those final points landing in your account within 12 weeks of the card's anniversary date, being about 15 months after your initial application. Given it has a strong domestic earning rate of one Qantas Point per $1 spent up to $10,000 per statement period (0.5/$1 thereafter) and 1.5 Qantas Points per A$1 spent in foreign currencies, that shouldn't prove much of an issue, but is something to keep in mind if you're planning to book a trip using your points in the next year or so. Taking out the bronze with an offer of 90,000 bonus Qantas Points, the $395/year NAB Qantas Rewards Signature Card, which is reduced to $295 in the first year. Spending $4,000 on eligible purchases within 60 days of account opening sees those bonus points land directly into your Qantas Frequent Flyer account, but be aware that this offer has no published 'end date', so can be withdrawn at any time. Everyday purchases provide one Qantas Point per $1 spent up to $5,000 per month; then 0.5/$1 on spends of $5,001-$20,000, and no points thereafter until the next monthly statement period. This excludes ATO payments, which don't earn points at any time. With separate offers of 80,000 bonus Qantas Points right now, the St.George Amplify Signature Visa with Qantas Points, the standalone Westpac's Altitude Black Mastercard, and the AMEX Platinum Charge Card – here's what you need to know about each deal. St.George: apply online for the Amplify Signature with Qantas Points card by May 22 2019, pay a reduced annual fee of $179 in the first year (normally $279) and spend $4,000 on purchases within 90 days of card approval, while also earning 0.75 Qantas Points per $1 spent on everyday purchases, plus a 10% 'birthday bonus' awarded in the month of your special day: taking that to 0.825 Qantas Points per $1 spent. You'll also find this bonus offer on the near-identical Bank of Melbourne Amplify Signature Visa with Qantas Points and the BankSA Amplify Signature Visa with Qantas Points credit cards when applying online – which, like St.George, are backed by Westpac Group. Westpac: Separate to the Black bundle offer above, Westpac's Altitude Black Mastercard is also available as a standalone product (without the AMEX), and right now, comes with up to 80,000 bonus Qantas Points for eligible new customers who apply by April 2 2019 and spend $3,000 on purchases within 90 days of card approval, while paying a $250 annual card fee plus the bank's $50/year Qantas Rewards fee to earn Qantas Points. Eligible purchases generate 0.75 Qantas Points per $1 spent, excluding ATO payments. American Express: Apply for the AMEX Platinum Charge Card, pay a $1,450 annual fee and spend $3,000 on purchases within the first three months to earn 80,000 bonus Membership Rewards Ascent Premium points, and between 0.5 and 3 points per $1 spent on the card depending on each transaction, all of which can currently be converted into Qantas Points at a 1:1 rate. 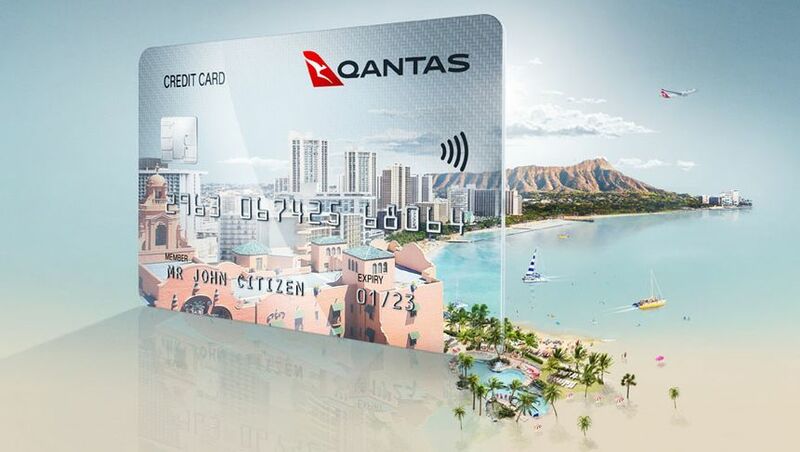 However, from April 15 2019, the Platinum Charge Card's earning rate is changing to be the equivalent of 1.125 Qantas Points per $1 spent on all purchases, except for government charges which continue to receive 0.5 Qantas Points per $1 spent. 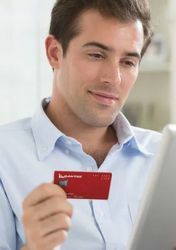 From the same date, the conversion rate from Membership Rewards to Qantas Frequent Flyer is also changing from 1:1 to 2:1, so while the 1.125/$1 earning rate we've indicated takes the card's new earning and conversion rates into account, any existing points in your account on that date will lose 50% of their value if not converted prior, or if you're not offered 'double points' from AMEX to offset the conversion rate change. With an offer of up to 50,000 bonus Qantas Points, the American Express Westpac Altitude Platinum Bundle takes fifth place. This Platinum-grade bundle deal mirrors the Altitude Black Bundle by splitting your bonus points into two distinct amounts: firstly, with 60,000 bonus Qantas Points for new customers who apply for the American Express Westpac Altitude Platinum Bundle by April 2 2019, and spend $3,000 on eligible purchases within 90 days of card approval using the Altitude Platinum Mastercard (issued and serviced by Westpac). In addition, you could earn 15,000 bonus Qantas Points after spending $3,000 on eligible purchases within 90 days of card approval using the using the American Express Westpac Altitude Platinum Card (issued and serviced by American Express), for a grand total of up to 75,000 bonus Qantas Points, as one card application (lodged by April 2 2019) can cover both the American Express card and the Mastercard. Also as with Westpac's Black-level cards, there's a $50/year Qantas Rewards fee to be paid when earning Qantas Points, although the usual $150 annual fee on the Altitude Platinum Mastercard is currently waived in the first year (a $49 annual fee applies on the American Express card from the first year).